Research indicates that adults require 7 to 9 hours of sleep every night to function properly. However, not many can say that they’ve had a restful night, and studies prove that technology is one of the many factors to blame. While our smartphones and tablets make life easier in many ways, they might also be responsible for all those times we wake up feeling grumpy and sleep deprived. It might not be difficult to recover from this initial grogginess, but prolonged sleep deprivation is known to cause reduced cognitive functioning, mood swings and chronic health problems like high blood pressure and heart disease. If you find yourself longing for a good night’s sleep, understanding how technology affects your sleep patterns can help you to take small steps to start sleeping better. Everybody has a body clock that regulates their sleeping schedule - it tells us when to sleep and wake up. This clock is controlled by the hormone ‘melatonin’. Research has found that blue light emitted from digital screens (our laptops or smartphones) suppresses melatonin, interfering with our body clocks. This disruption causes irregularities in our sleep cycles that have an effect on our mood - making us feel tired, irritable and prone to experiencing anger and hostility. Additionally, there’s also research to show that constant fatigue is responsible for poor decision making in logical, rule-based tasks. Sleep Better: Start by creating a sleep-friendly zone in your bedroom. Do this by establishing one simple ground rule-no electronics in the bedroom. Yes, this includes your laptop and television! If keeping your electronics outside the bedroom seems too difficult a task, follow the rule of ‘no electronics use in the bedroom’ post a certain time in the night (preferably 30 to 60 minutes prior to bedtime). This in turn will allow you to fall asleep quickly. There’s nothing more frustrating than finally falling asleep but hearing the buzz of incoming notifications from your phone. 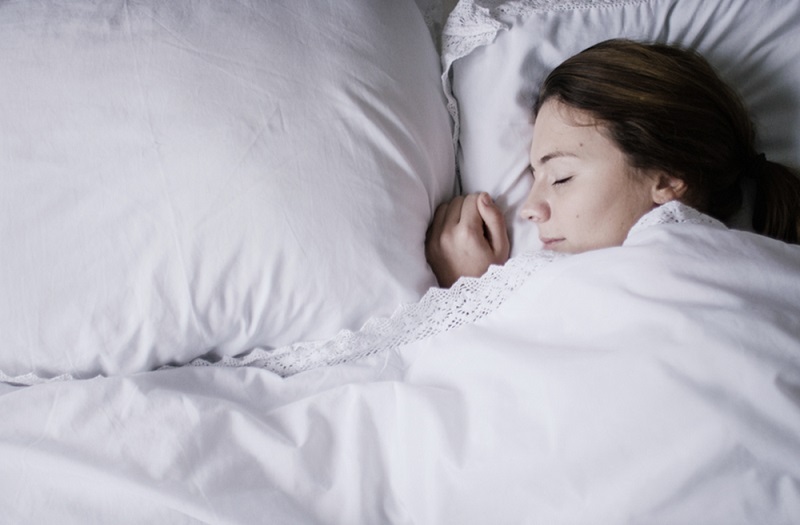 To avoid the negative effects associated with sleep deprivation, it’s important to get a full night’s rest rather than fragmented periods of sleep. This fragmentation interrupts memory processes and research indicates that it affects our performance on tasks related to attention and memory. Sleep Better: Switching off your phone and any device that might wake you up in the middle of the night would be ideal, however if that sounds too extreme, put your phone on the silent, and/or no vibrate mode. Ever told yourself that you are so exhausted that you must sleep by 11:00 pm, but then you find yourself watching a YouTube video or texting a friend at 12:30 am? It happens with all of us. The use of technology often leads to sleep procrastination, which involves going to bed later than intended, even though there are no legitimate external circumstances accountable for doing so. Sleep Better: Start by identifying the cause of your procrastination. If the cause is binge watching a television show, try turning off the television and your laptop half an hour before your bedtime and use that half hour to get your body to power down. You can do this by having a glass of milk, changing into pyjamas or reading. With the right kind of technology, you can actually regulate your sleep cycle. A number of fitness trackers are widely available today and can be worn around the wrist to track your sleep. Such trackers provide data about the number of hours of sleep as well as the quality of sleep. As a result, they allow you to set sleep goals and calculate your progress towards achieving these goals. If you, or anyone you know, is having trouble identifying and changing dysfunctional sleep patterns, don't hesitate to reach out to us. An InnerHour therapist can help you.